One of Singapore’s biggest Halloween events, Halloween Horror Nights at Universal Studios is back again to scare the living daylights out of you. There are four haunted houses this year – including a HDB flat filled with Chinese, Malay and Indian (here’s looking at you, ethnic quota) spirits – as well as three 'scare zones', which feature cursed villagers, diseased inhabitants and terrifying aliens. 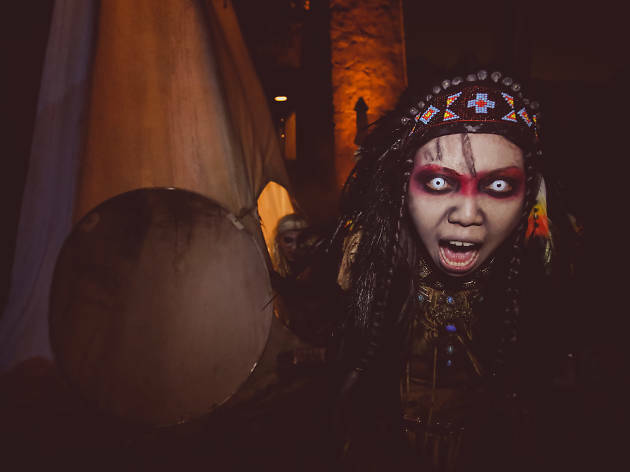 Read our interview with SFX Makeup Artist June Goh to find out what goes on behind the scenes of Halloween Horror Nights.